Thanks to this innovative and unique offering in France, GEOCONCEPT provides users of its GIS direct access to aerial photographs and town plans in the various virtual globes available on the web.. The information sourced by the server consulted corresponding to the geographic area displayed in Geoconcept appears instantly as a map background, greatly facilitating the work of situating oneself in the map space and improving map legibility. The Web Access Maps offering, W@M, is a solution capable of incorporating remotely available data flows into a standard professional Geographical Information System. 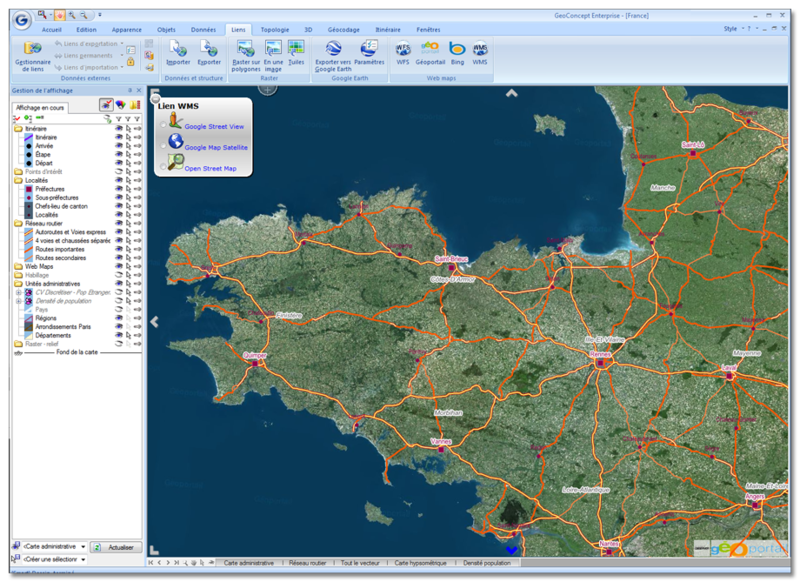 The Web Access Maps range offers easy access to several tens of terabyte of high-quality geographical data without any data being installed on the user workstation. From a technical standpoint, the W@M are based on the performance of the latest version of Geoconcept’s GIS 6.6, an engine capable of displaying cartographic tiles from a web server using the WMS-C protocol (such as IGN’s Géoportail) or a proprietary protocol (Microsoft’s Bing, for example). The W@Ms thus support a large number of cartographic protocols from numerous sources currently available on the market. Geoconcept allows its users to connect free of charge to data that already provide an initial level of information and for a few hundred Euros per user per year the offering is expanded to higher grade and more accurate data. A derisory sum compared with the price of professional geographical data sold on the market ! 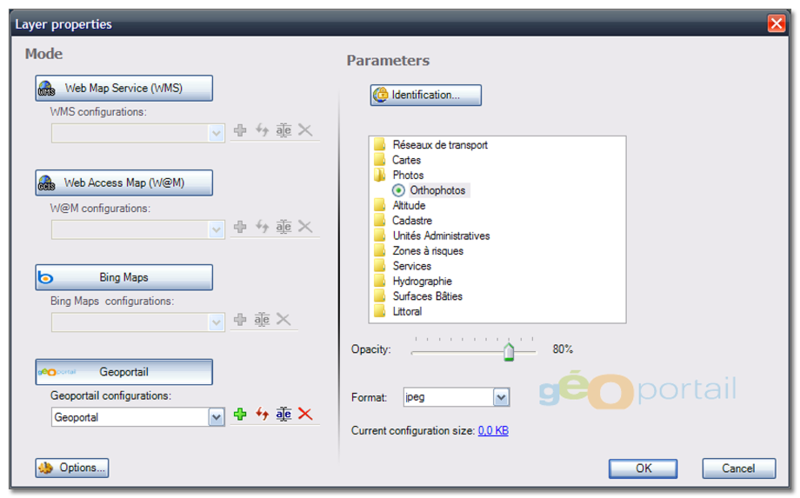 All that you need to take advantage of it is the latest version of Geoconcept (6.6) and an Internet connection, without the need to install anything. Numerous users in the public sector, such as ministries, universities or local government (town and country planning, intervention plans, etc) or in the private sector in the context of housing stock management or geomarketing projects (location studies) thus have cheaper access to comprehensive geographical information.